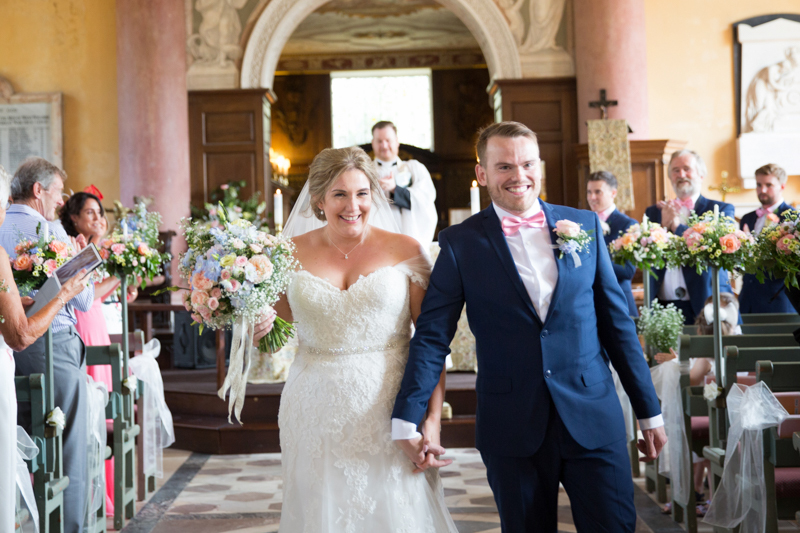 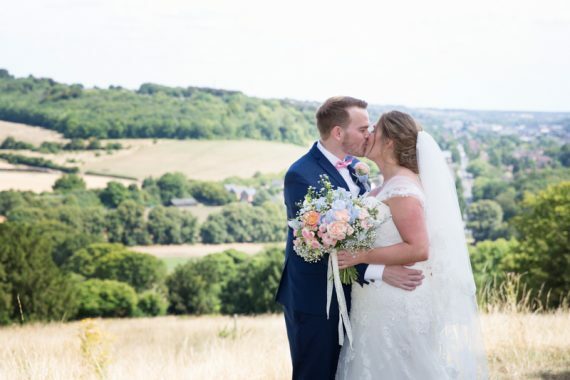 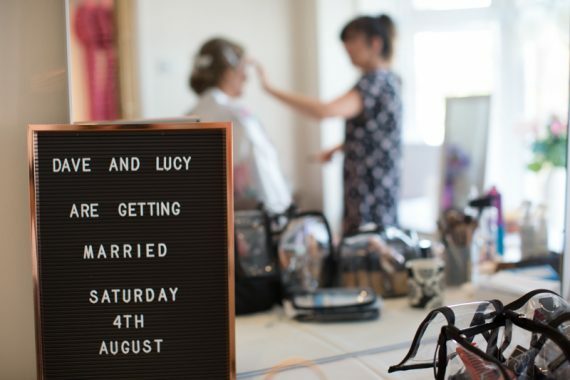 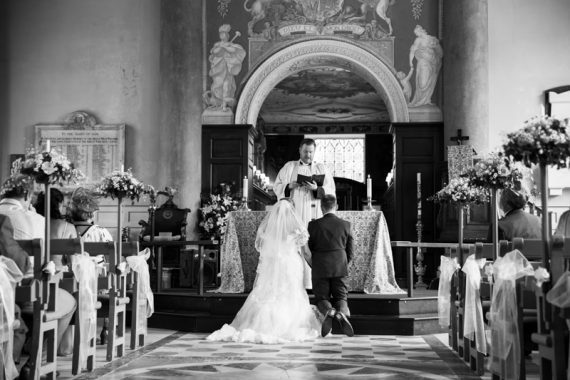 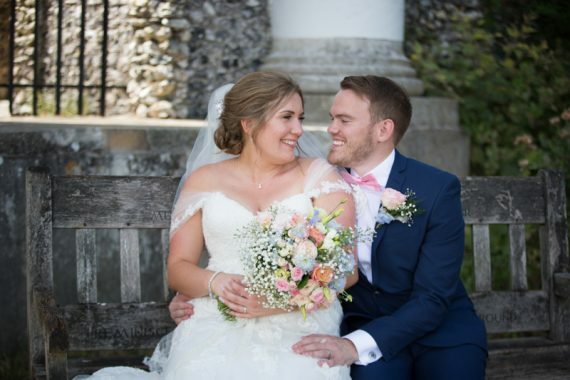 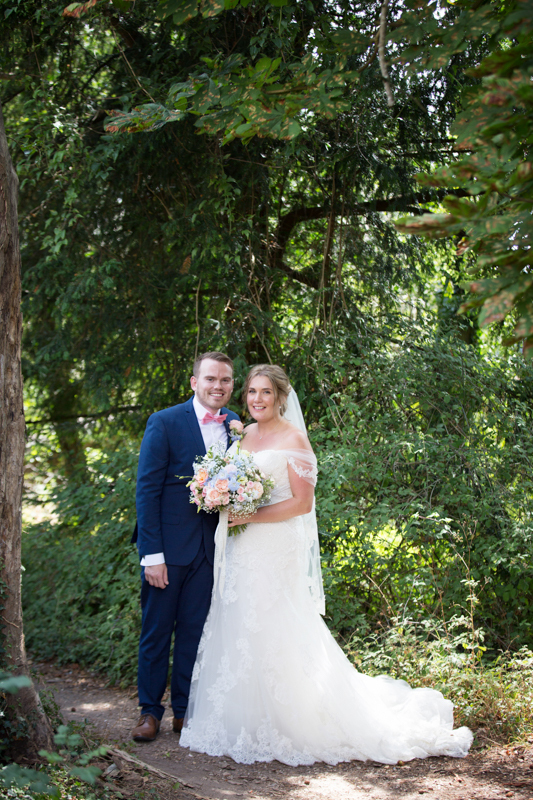 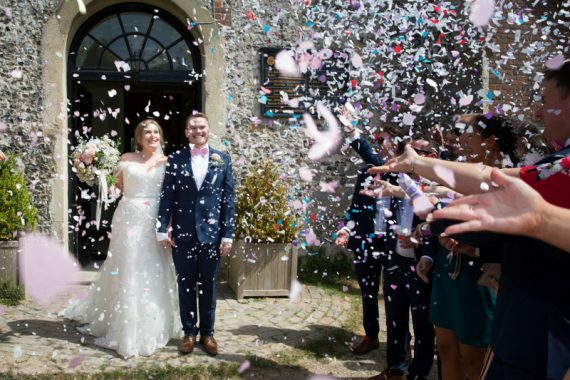 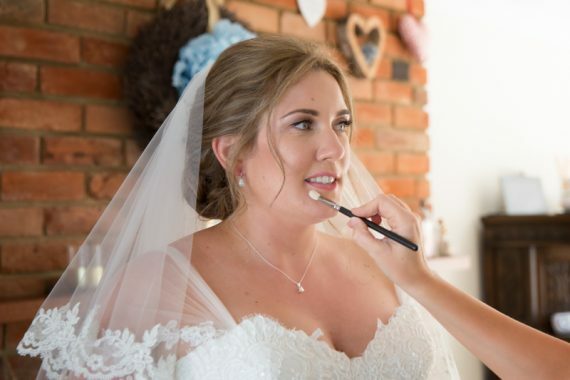 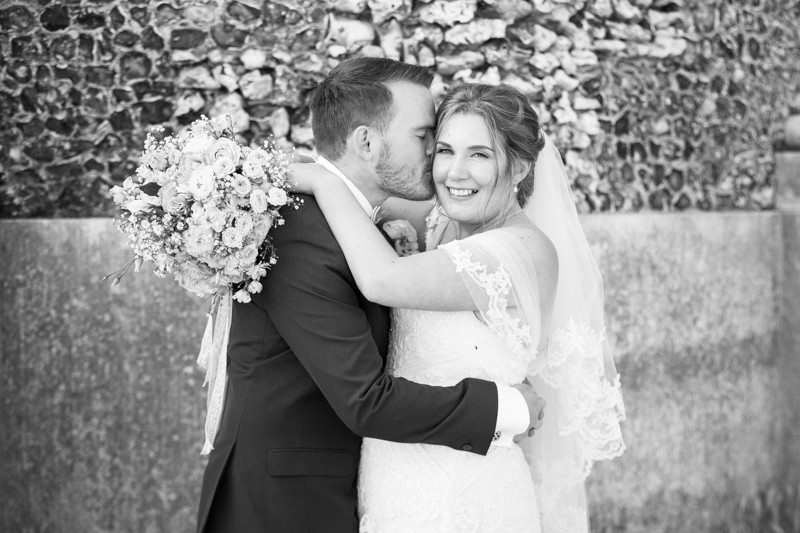 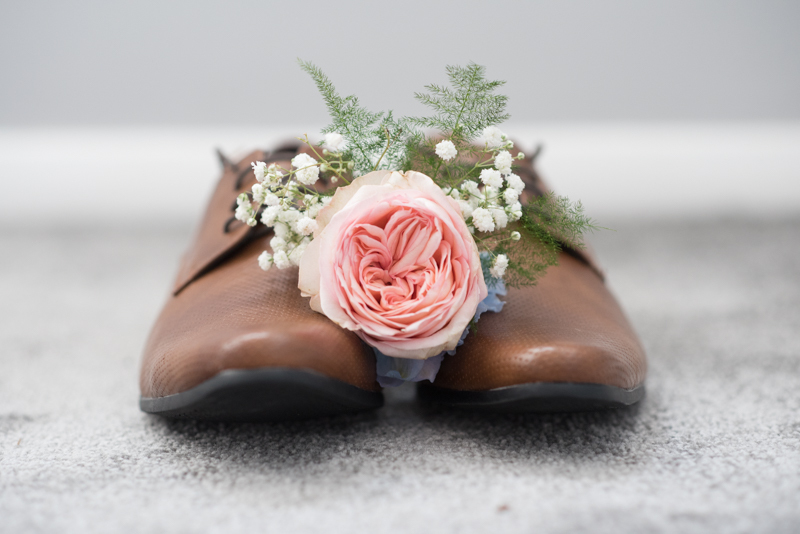 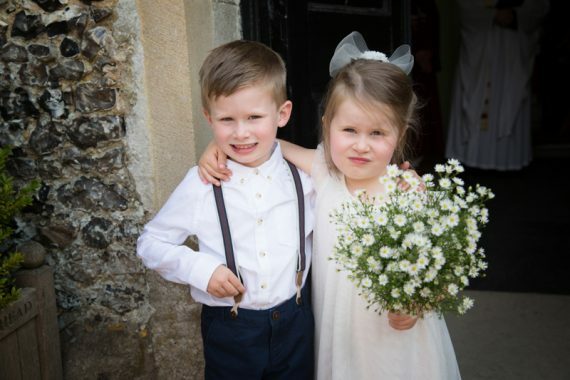 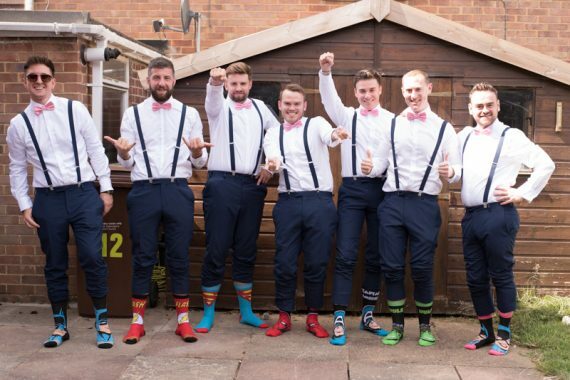 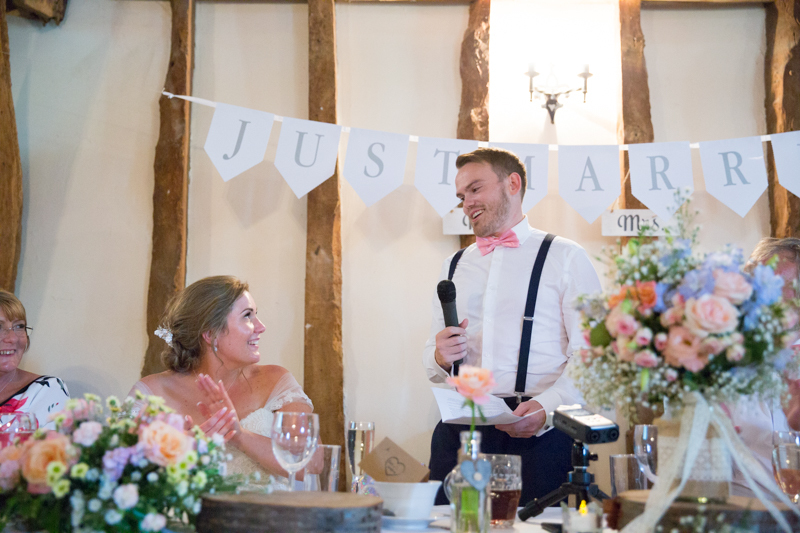 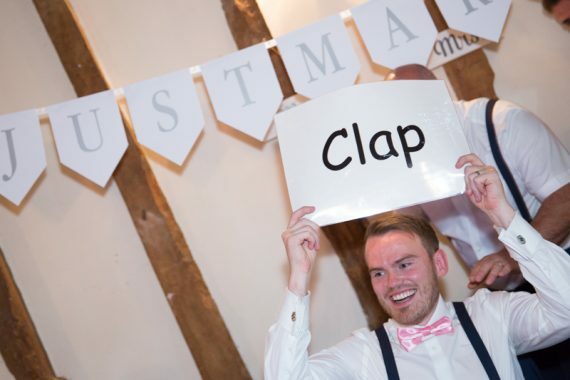 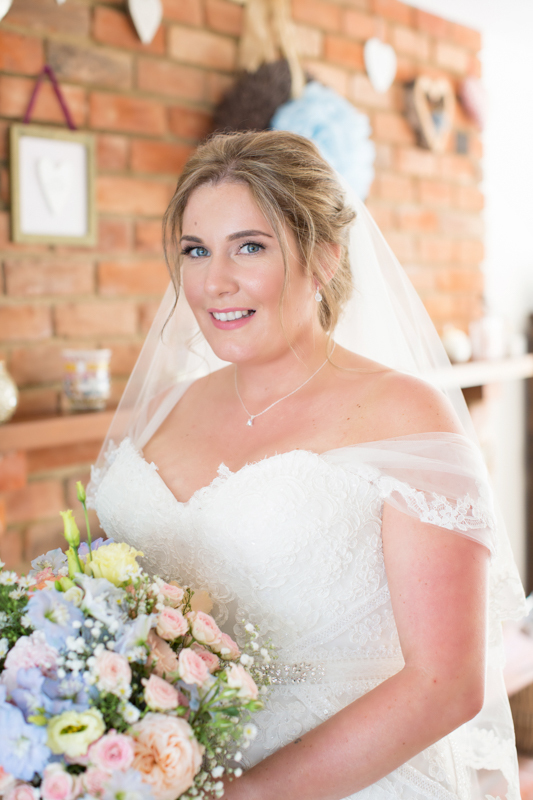 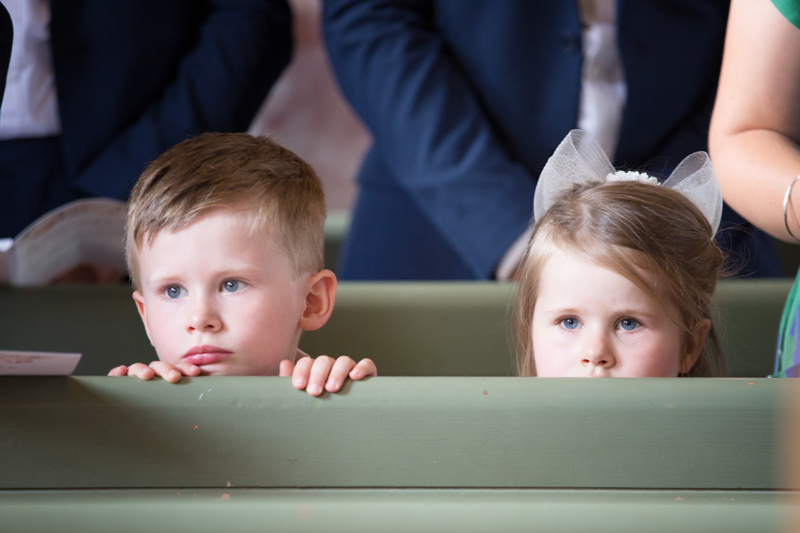 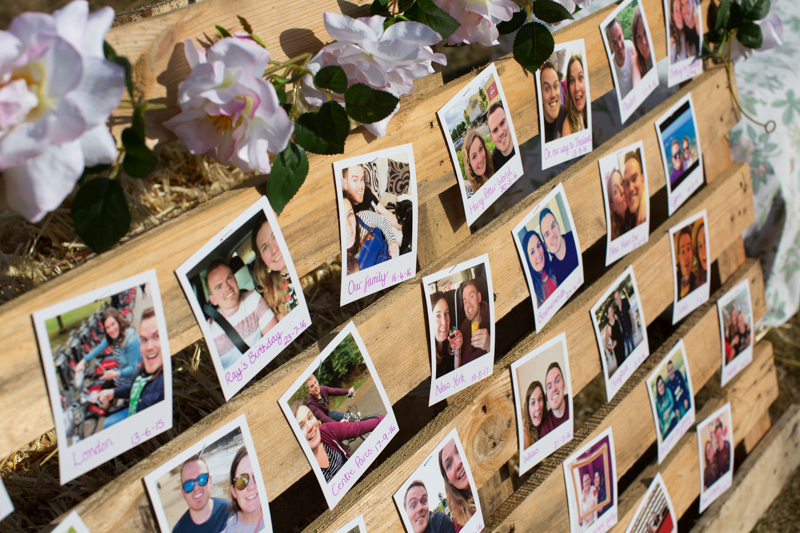 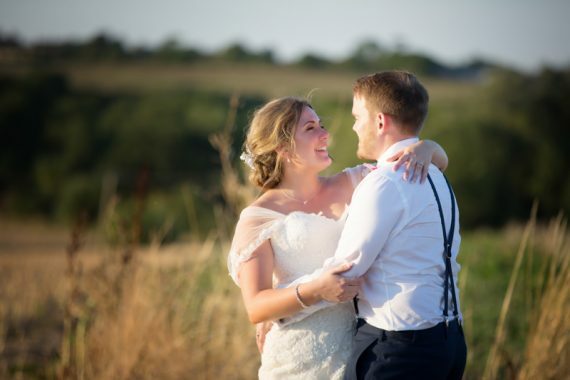 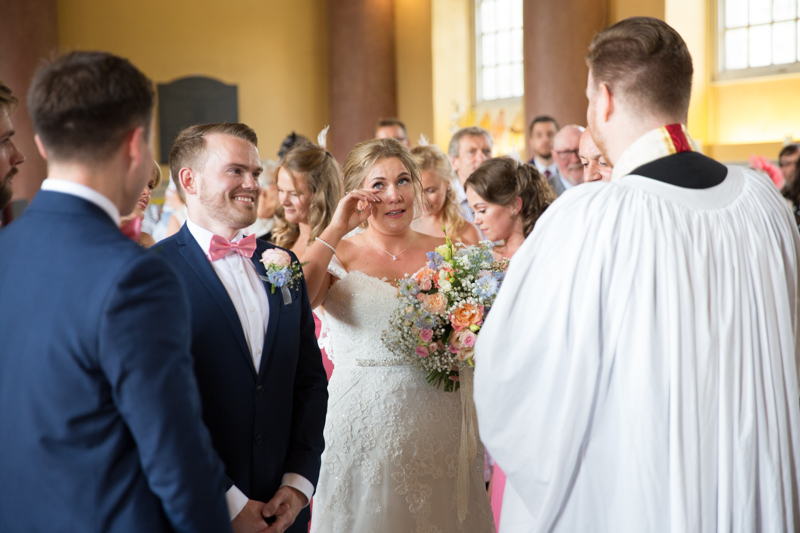 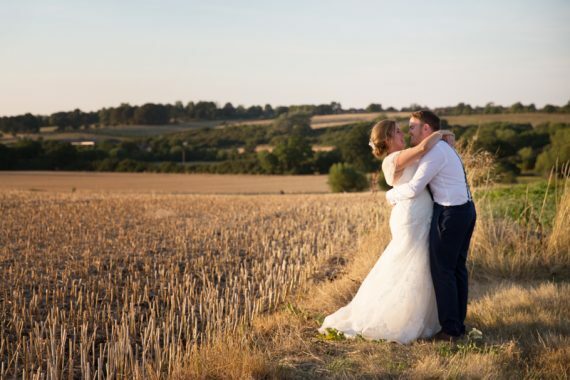 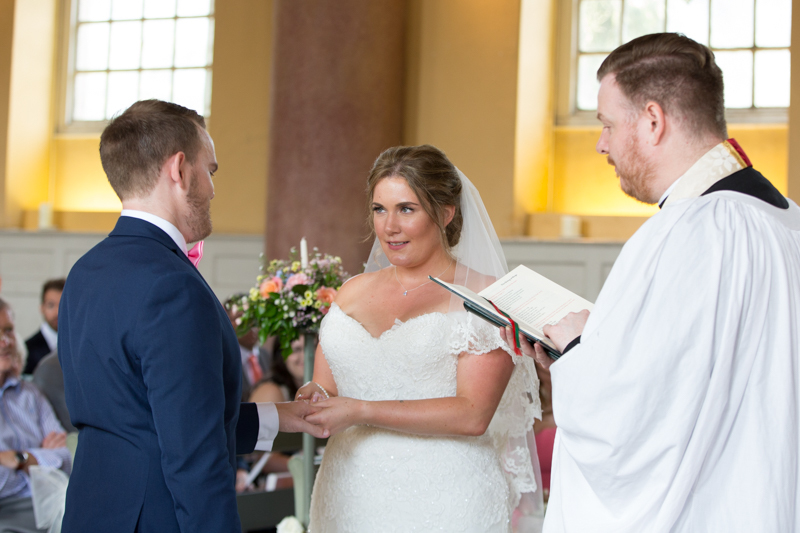 Lucy and Dave were married in the beautiful and historic St Laurence Church, West Wycombe followed by a relaxed and fun barn wedding at Notley Tythe Barn near Thame. 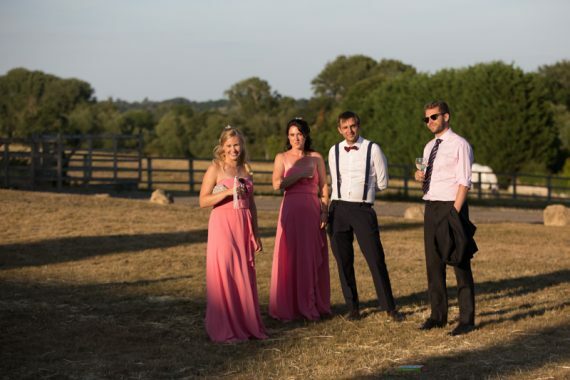 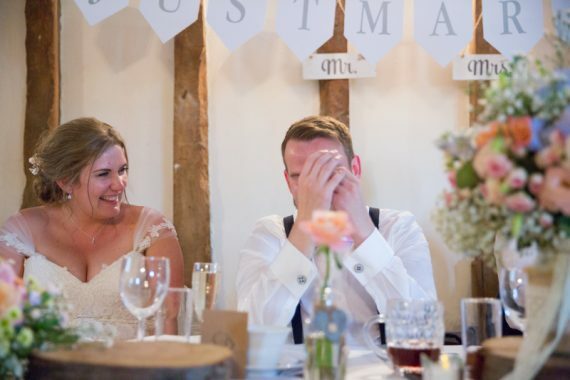 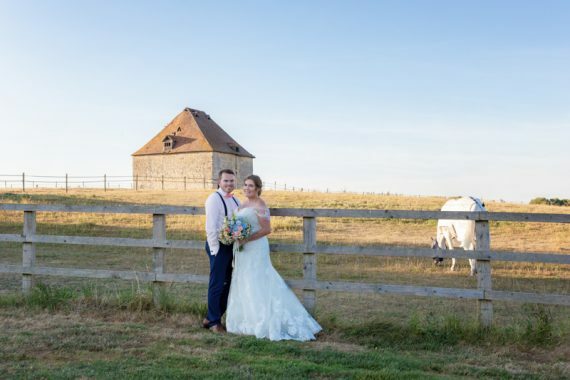 It was my first visit to this venue and Notley Tythe Barn is now one of my favourite barn venues in Oxfordshire. The countryside around the venue is simply stunning. 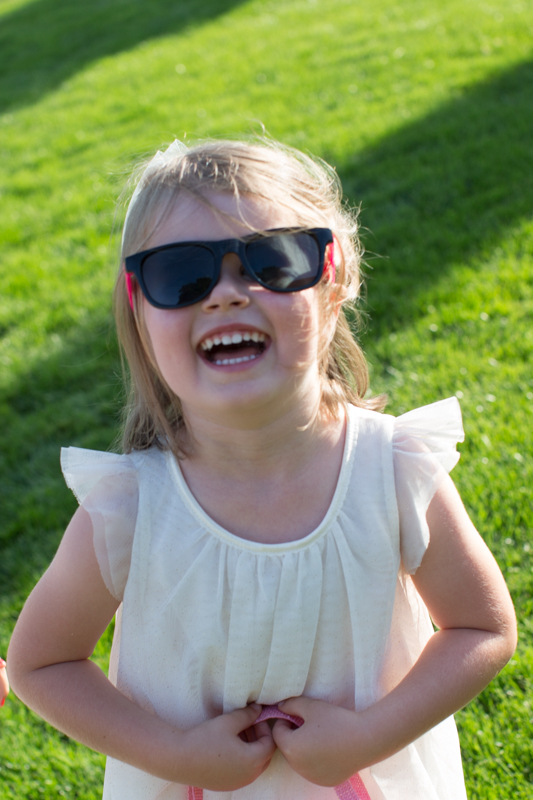 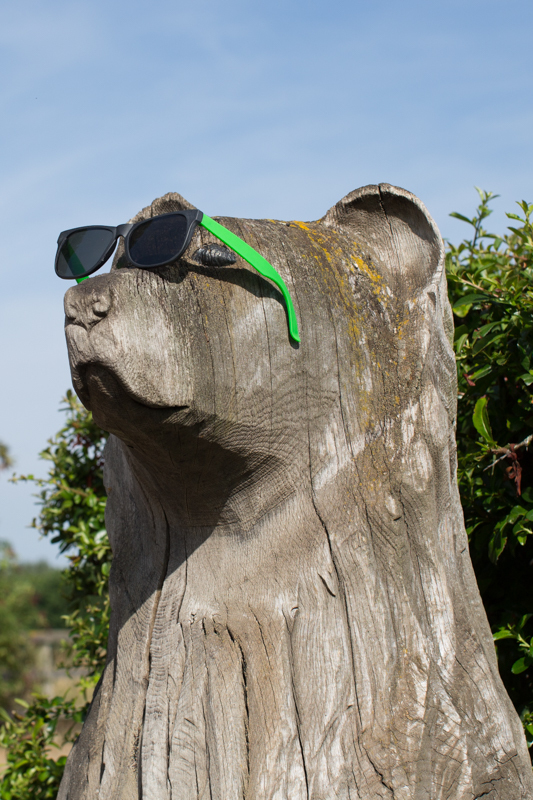 It was one of the many very hot days we had this summer when I arrived at Lucy’s mum’s house where Lucy and her five bridesmaids were getting ready. 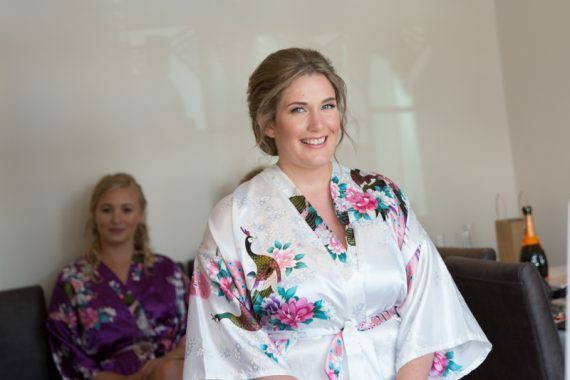 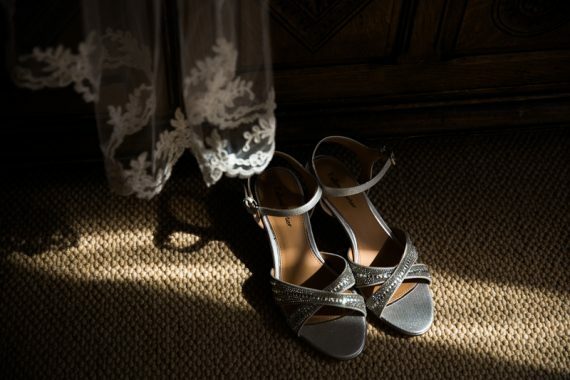 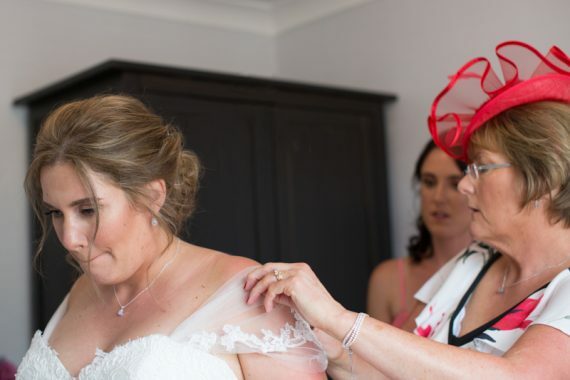 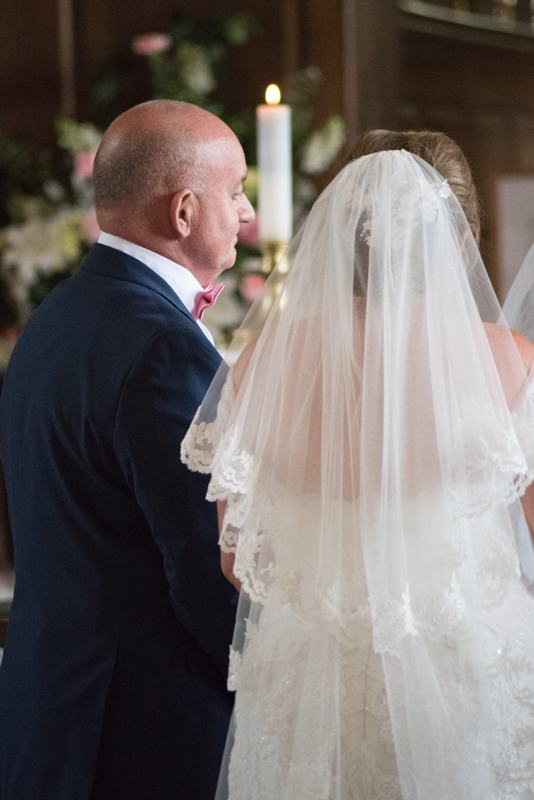 I always love this part of the day and usually stay in the background capturing documentary moments as well as creating some pretty detail shots of the wedding dress, flowers, veil, shoes and accessories. 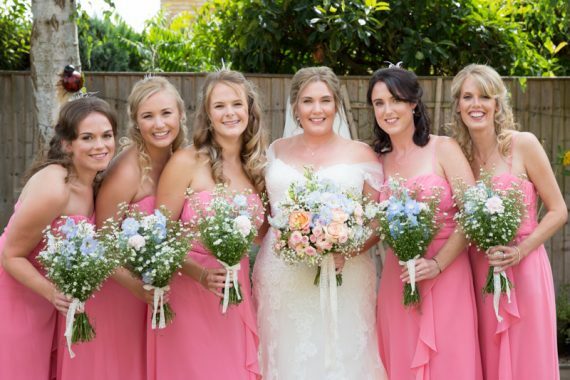 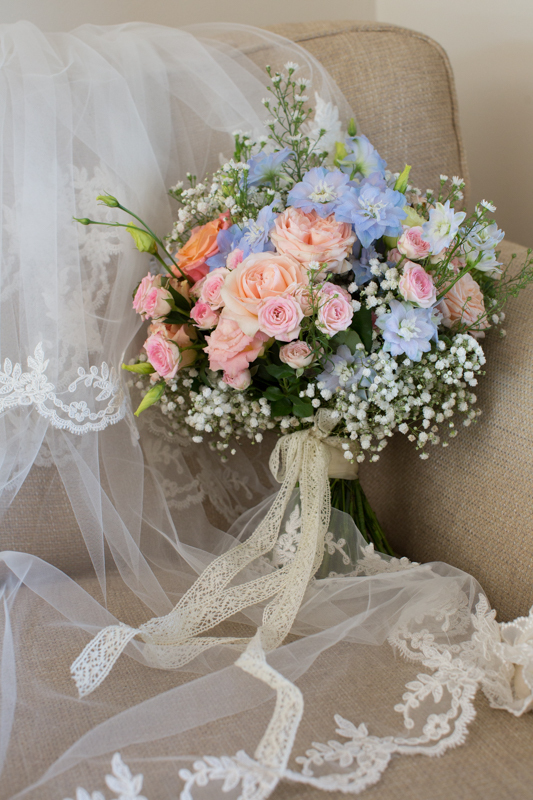 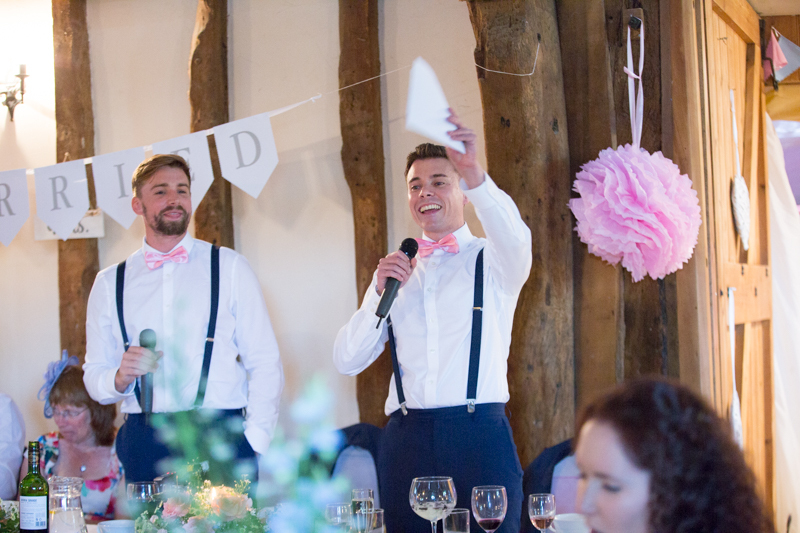 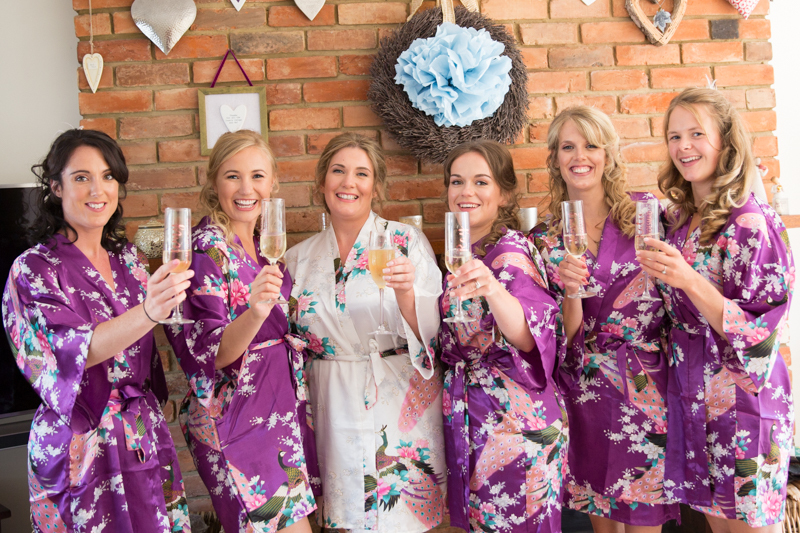 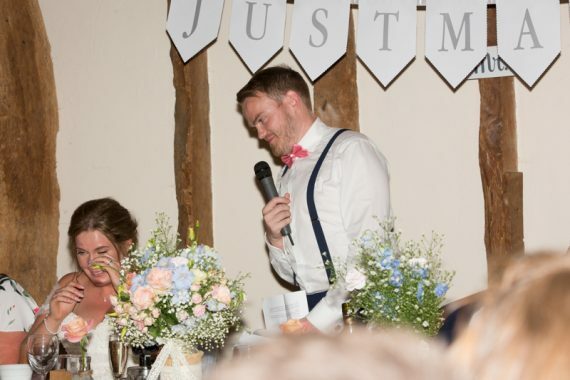 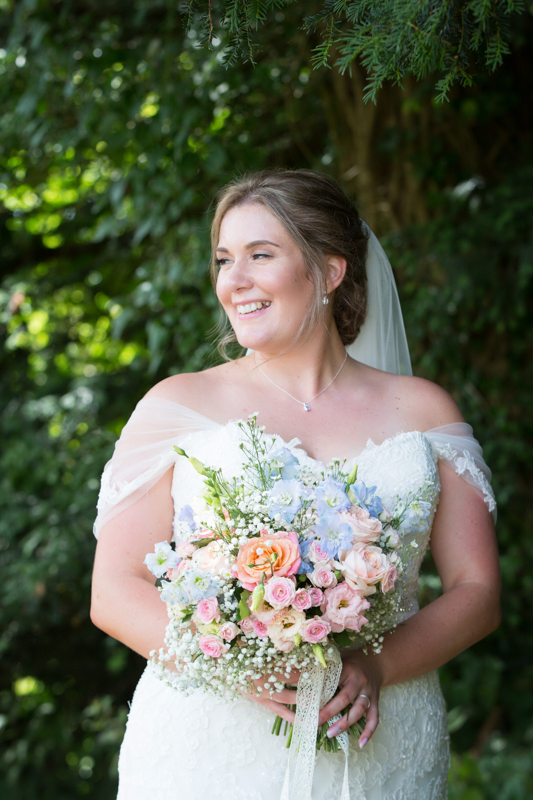 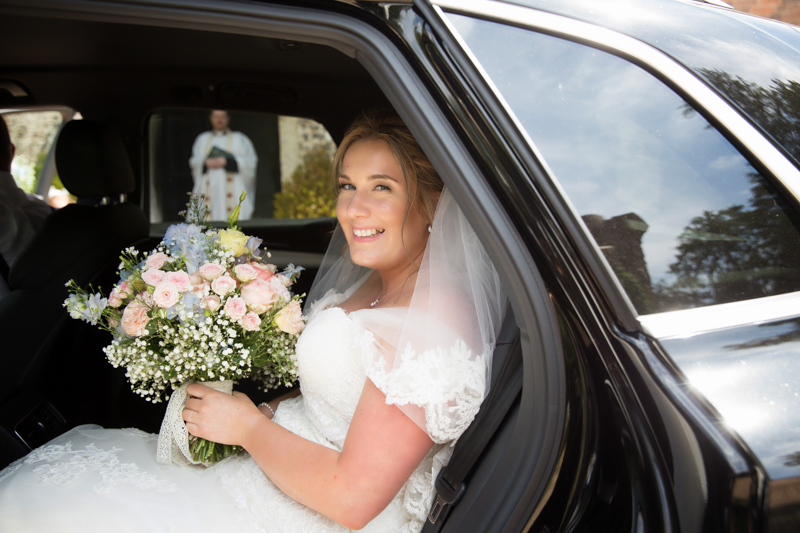 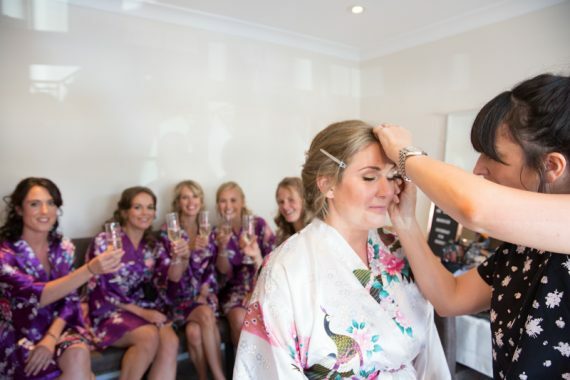 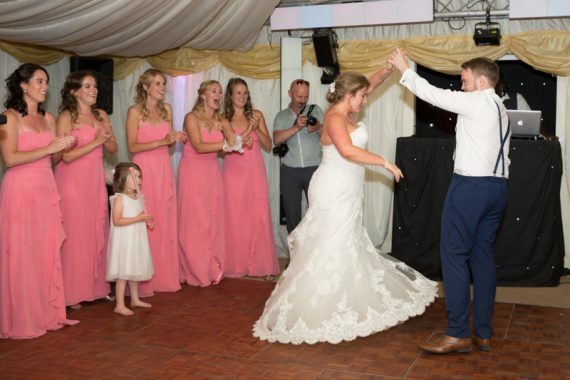 The flowers were supplied by Fullers Flowers in Princess Risborough and were beautiful in pale blue and pink to match the bridesmaids. Lucy was very relaxed throughout the morning and she was ready in plenty of time for some shots with her family and bridesmaids before I headed off to the church. 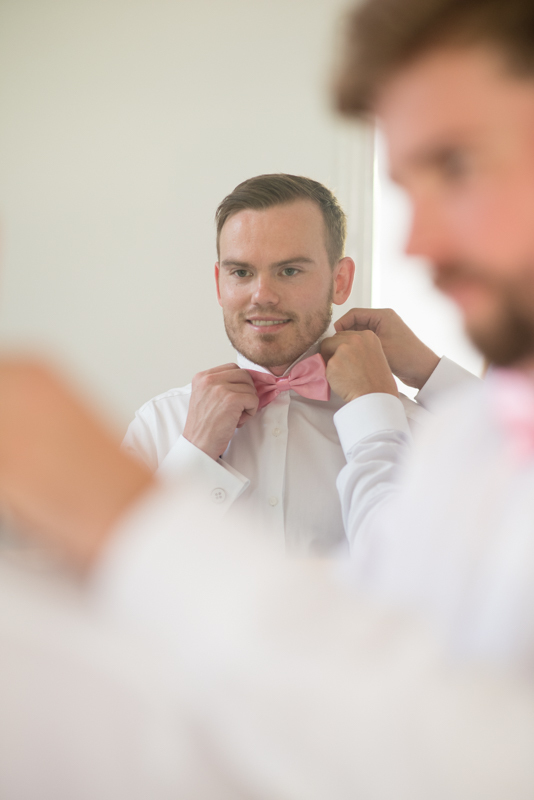 Dave didn’t wish to be left out and working me with that day covering Dave and his many groomsmen getting ready was my second photographer, Anmarie Day Photography. St Laurence Church sits high on Wycombe Hill with beautiful views of the Chilterns. 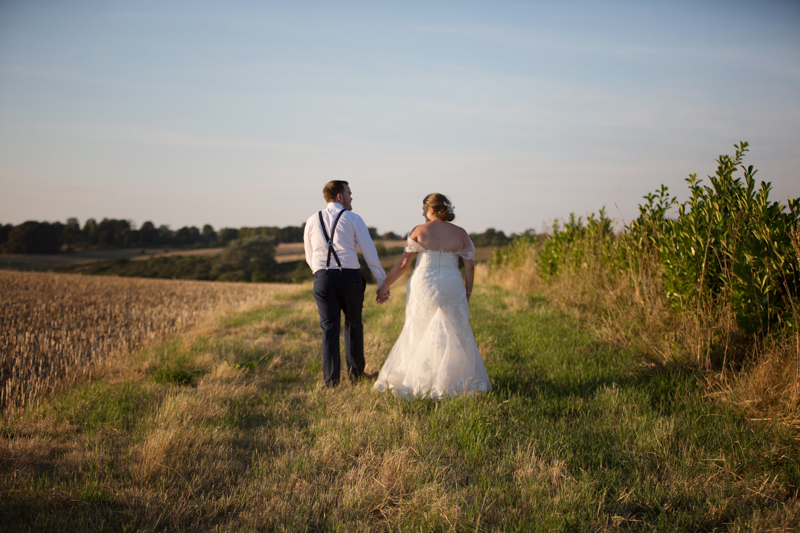 At the back of the church sits the Dashwood mausoleum which formed the backdrop to some of our photographs after the ceremony. 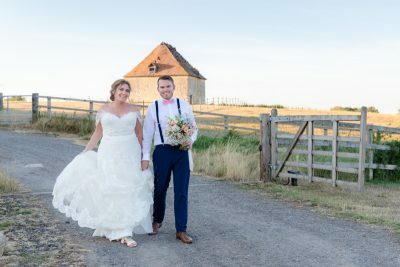 After we had taken some photographs near St Lawrence’s Church Lucy and Dave went by campervan to their wedding at Notley Tythe Barn. 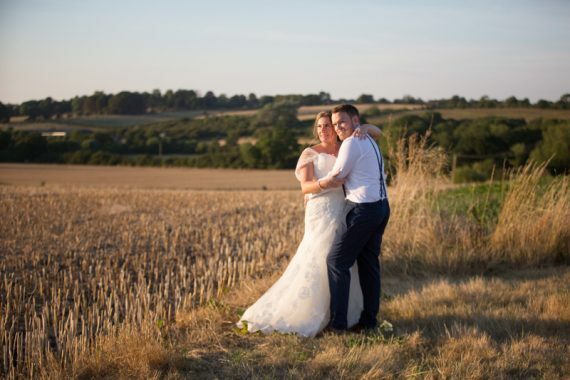 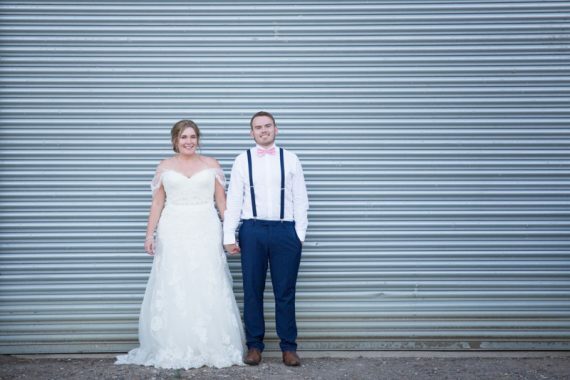 As you approach this beautiful venue, the surrounding countryside is just captivating and a photographer’s dream really. 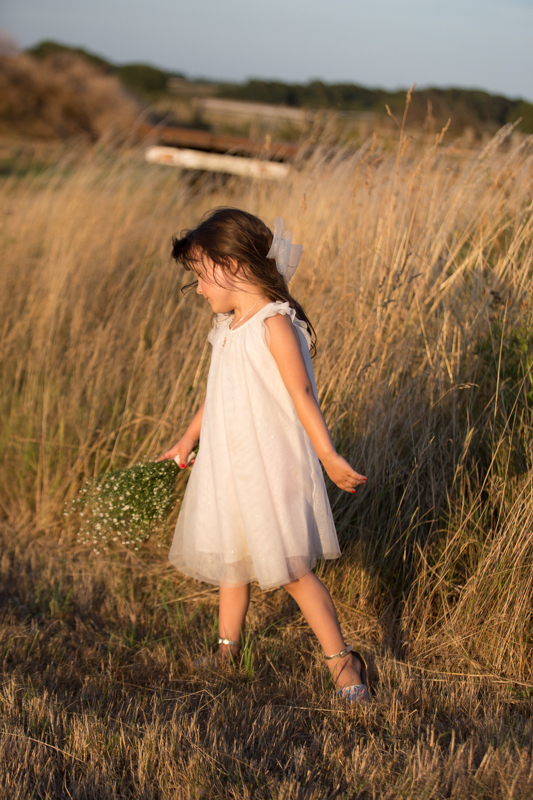 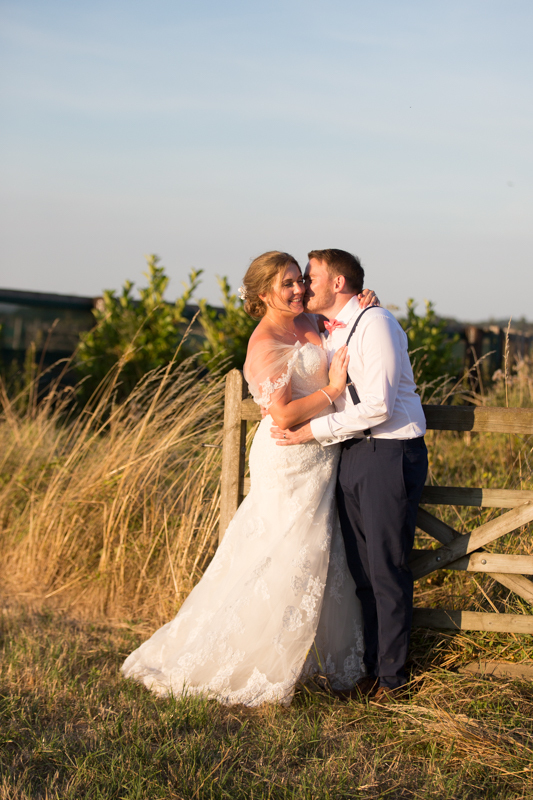 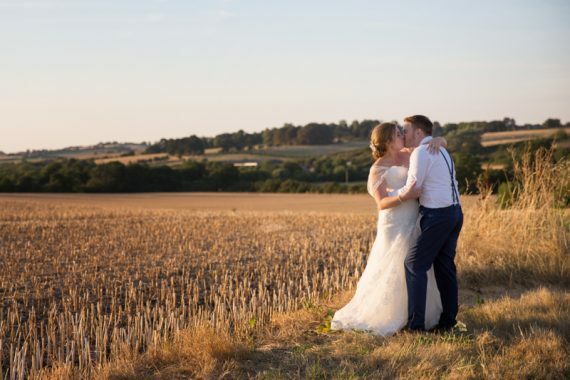 Their day was relaxed and happy and after the wedding breakfast we went to the fields and nearby dovecot for some beautiful evening portraits in the glorious golden hour light. 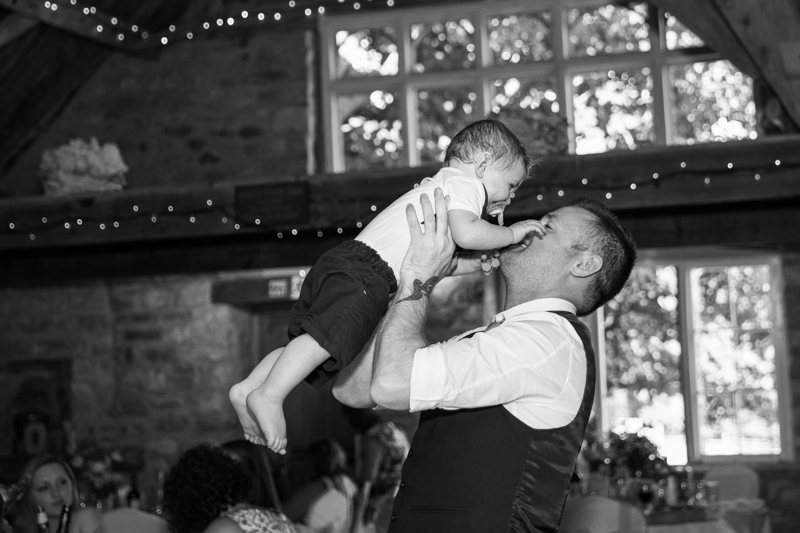 I hope to return to this venue and if you are planning an Oxfordshire barn wedding at Notley Tythe Barn please get in touch.